Glasgow Coma Scale (GCS) scores on admission may be predictors of outcome in patients with brain injuries. 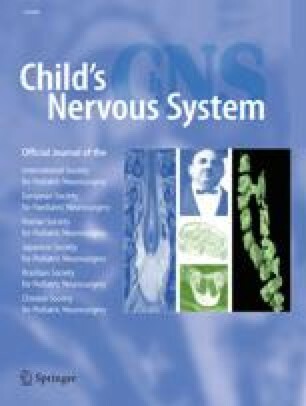 This study correlated the outcomes of children with traumatic brain stem lesions with their initial GCS scores and morphological patterns of injury as shown on computed tomography (CT) or magnetic resonance (MR) imaging. During the last 16 years, we have treated 1,108 children with brain injuries. The entire series included only 21 (1.9%) children who had clinical signs of brain stem lesions with morphological correlates on CT or MR imaging. Clinical findings were assessed according to the GCS and compared with scores on the Glasgow Outcome Scale (GOS). Of these 21 children, 16 (76%) had morphological lesions seen on CT scans. In 5 (24%) of the children only the MR images revealed brain stem lesions and their CT scans were negative. Generalized severe brain swelling was present in 6 cases (28%). There was a significant difference in GOS scores between patients with initial GCS scores of 3 and 4 and those with GCS scores between 5 and 7 (P<0.02). Children with intracranial pressure higher than 40 mmHg had poorer outcomes than patients whose intracranial pressure was lower, but the differences were not significant. Outcome did not correlate significantly with morphological patterns of injury or the presence of extracranial injuries. The GCS is a reliable indicator of severity of injury and of outcome in children with brain stem injuries. MR imaging was more sensitive than CT in detecting brain stem lesions.